You speak your language to both of your kids, you motivate them to speak it to you, you spend a lot quality time with them but as soon as you leave the room – they start speaking majority language to each other! 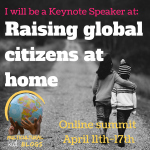 Thank you for good information on raising bilingual kids. I have a 3 and 6 year old boys. We live in Canada but I’m from Iceland and my boys speak Icelandic as well as English (their dad is English speaking Canadian). My question is if I can expect my boys to speak Icelandic to each other when they are playing together at home? They always speak Icelandic to me and can play in Icelandic with other Icelandic kids (as long as those don’t know English). I’d love for them to only use Icelandic at home when their dad is not home. Is that realistic or should I just be happy that they speak Icelandic too me! I always speak Icelandic to them, even when we are outside the home or with English friends. So what do you do in this situation? Should you drop everything you are doing and rush back to your kids to play with them in Icelandic? Or maybe you should raise you finger and voice and say “Speak Icelandic please young men, or no desert today? Or maybe you should relax and do nothing? When we did our road trip throughout USA back in 2013, we stopped by my husband’s sister in Washington. She took us to see the waterfall Multnomah – the view leaves you breathless, its so tall and gorgeous! But, my kids had to start arguing about something in English. I quickly stopped them, but my sister in law did not understand and she asked me what did I say? I translated to her that I told them they can fight only in Russian. She found it hilarious and was laughing all the way to the ticket stand. In general, our kids speak Russian to each other on household topics and with me, but the language of their play is almost always English. I should confess I was sad about it, I thought that they are loosing their Russian. But, I felt much better after rereading Francois Grosjean’s book Bilingual. Francois Grosjean calls it complementary principle. Bilinguals usually acquire and use their languages for different purposes, in different domains of life, with different people. Different aspects of life often require different languages. 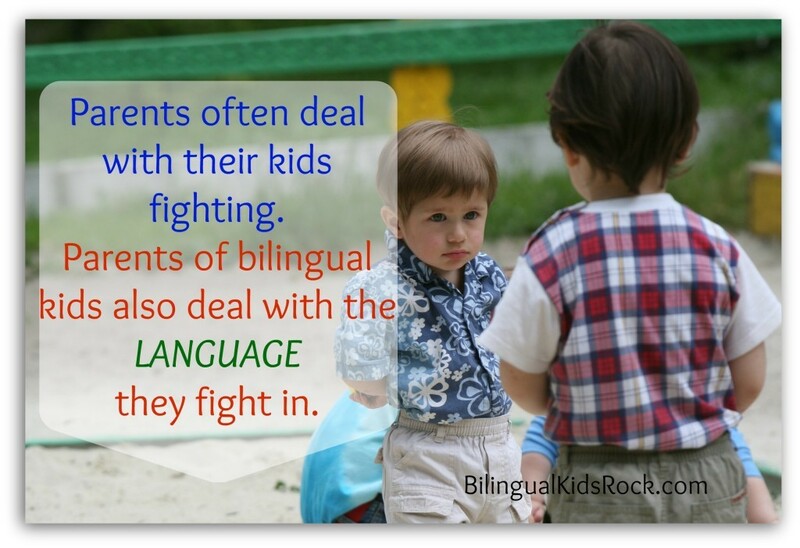 Your bilingual children are the same way – they have different domains of their life: home, friends, schools and daycare, playing (which is a big part for them). There is strong preference for English among young bilinguals. While children in dual-immersion schools cooperate excellently with the policies on language choice in the classroom curriculum, they overwhelmingly preferred to use English with each other in the halls and on the way to the bus. Relationships with parents is one domain of their life, but relationship with siblings is entirely different. So even if they speak your mother tongue with you, they can choose majority language when conversing with siblings. What are the factors that can influence language choice between siblings? Even though some factors are beyond our influence, I think parents still need to try steering the communication between siblings into the minority language. Why? Because this way you will have much more of your language in the household, and your kids will have much more practice speaking it. Practice makes perfect! continue address them in the minority language even if they address each other in the majority. play minority language music on the background. expect minority language use in the areas where your child knows only majority vocabulary. For instance, he was watching Transformers in the majority language and now he is modeling it in his game. Put language of the communication above their relationships with each other. After all, them playing together is actually one of the best memory of their childhood. To sum up my answer to you question – yes, I think it is perfectly normal for siblings to use majority language with each other. But gently steering them towards minority language and practicing all of the methods I mentioned above would not hurt at all. The key is gently, never head to head.